The Taste of Redding is held at City of Redding City Hall and the Sculpture Gardens. A portion of the front parking in front of City Hall will be closed to accommodate the restaurants and live music for the attendees. Please follow the directions below to come enjoy…just listen for music and people having fun to find the location! There will be two ticket locations for your convenience one on the north side in front of City Hall and an additional ticket location on the south side of City Hall. Either location can be used to collect your tasting ticket and wristband. Parking is abundant and free. Please use either the south or north parking lots at the City of Redding City Hall. Additional parking will be available on Parkview Avenue. From Interstate 5 South or North – Take exit 677 or Cypress Street exit and head west for about 0.80 miles. 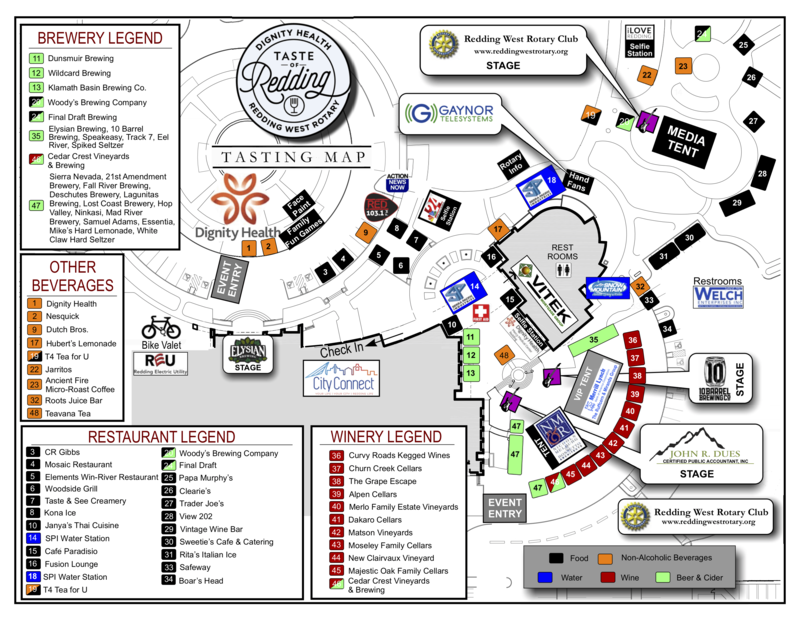 Make a left onto Civic Center Drive, which will lead you into the north entrance of the Taste of Redding. The south entrance can be accessed by making a left on Parkview Avenue, the traffic light just before Civic Center Drive. From West Redding or Hwy 299 West – Take California Street south continue on when merging into Market Street. Next you will veer left and continue on Cypress Avenue. 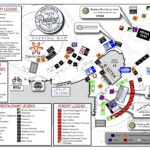 Make a right at Civic Center Drive, which will lead you into the north entrance of the Taste of Redding.